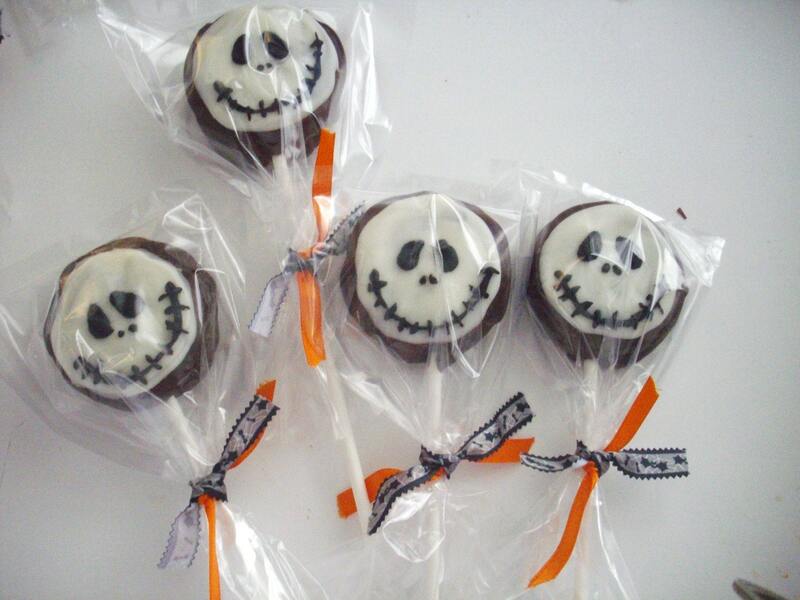 If you are looking for some fun Halloween party favors or treats for your dessert table,than check out SugarBelleysBoutique! We are pleased to bring you yet another great Etsy shop! Ari is the owner of SugarBelleysBoutique where she happily makes chocolate lollipops, hard candy lollipops and party favors for any event!You may have even see SugarBelleysBoutique on the Today's Show! Here's a little Halloween peek!
" I am a stay out mom that has a zest for sugar. In my spare time I love to create super fun hand crafted edibles. The ultimate satisfaction is knowing my favors were the hit of the party! Made with 100 % love in a fully licensed kitchen." 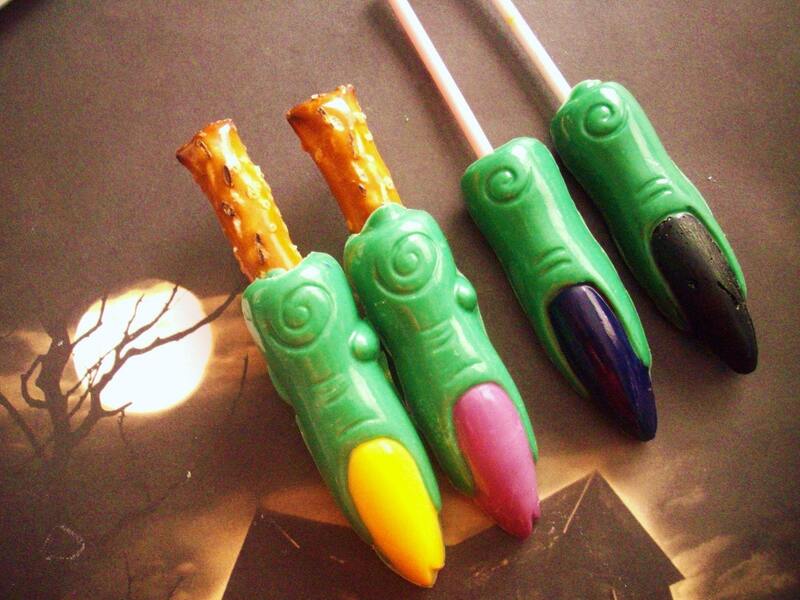 ﻿﻿ Get ready for some ghoulish eating with these party favor skewers. 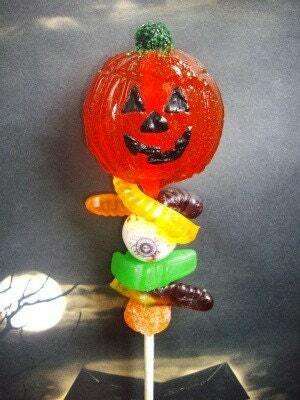 An assortment of fun gummi candy adorns the stick of this happy 2.5" hard sugar candy pumpkin. These will be the hit of the party among young and old kids alike. 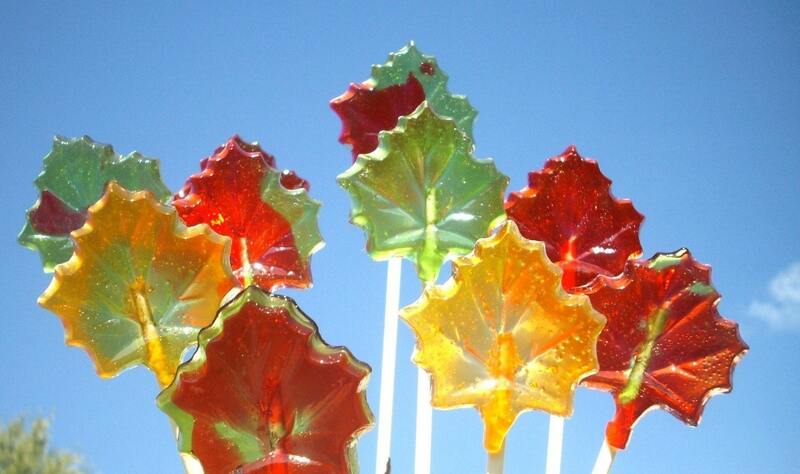 Each lollipop skewer will come individually wrapped and accented with coordinating ribbon. ﻿﻿ These creepy witch fingers will look great at your Halloween party. Each finger is approx 3" long without the pretzel or stick. 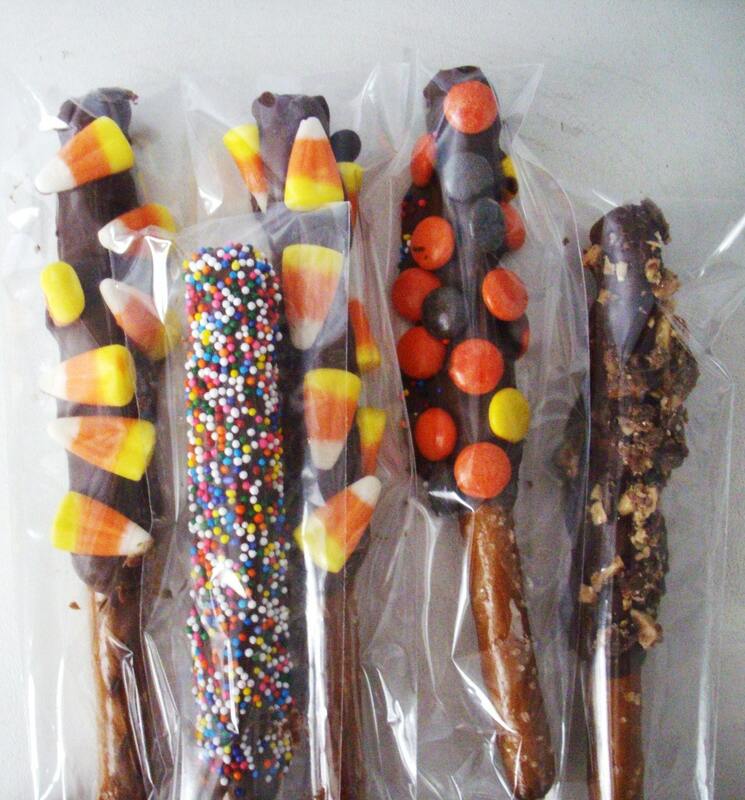 You decide how you want to eat the fingers, on a pretzel or mounted on a lolly stick. ﻿First I take creamy, buttery rich caramel and drench it over the pretzels. Then I double dip them in chocolate and cover them in your fave candy, cookie or nut topping. Soooo heavenly. ﻿ ﻿Jack Skellington ( singing) "What's this? What's this? There's color everywhere! What's this? There's white things in the air! What's this? I can't believe my eyes, I must be dreaming; wake up, Jack, this isn't fair! What's this?" 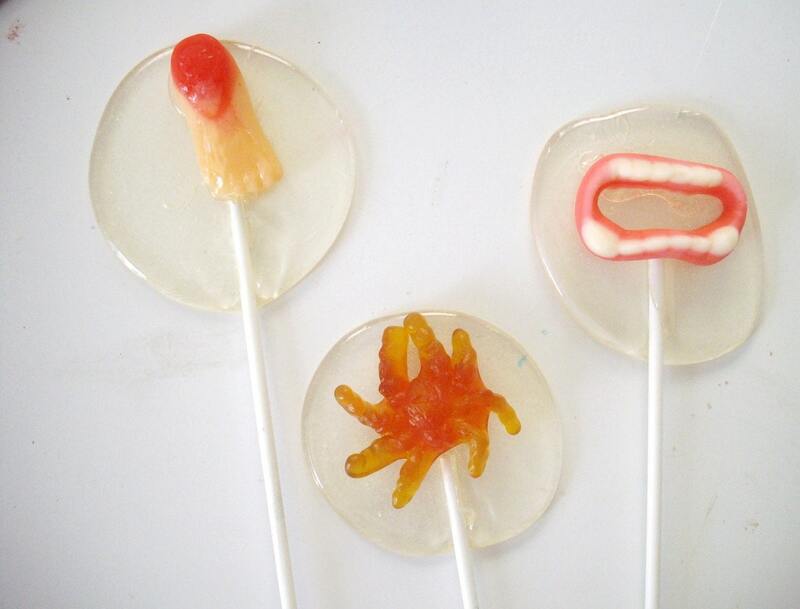 ﻿Crystal glass hard candy lollies featuring spooky body parts, gummi spiders or worms and candy corn . ﻿ Bad eyesight? Improve your vision by indulging in some melt in your mouth eyeballs. 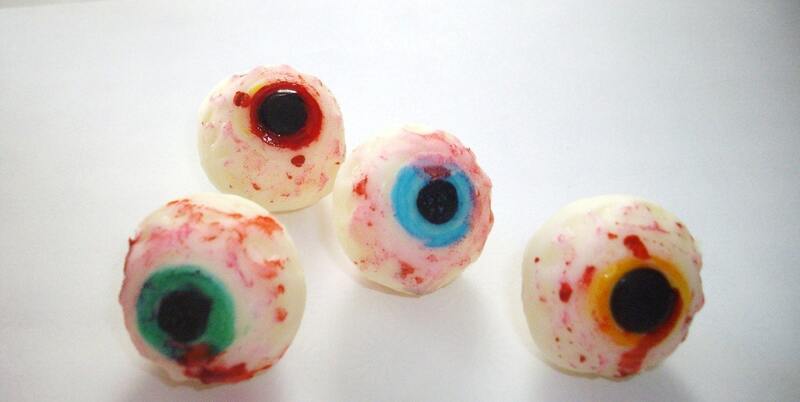 You will receive 12 eyeballs all wrapped in a box and tied with spooky themed ribbon. Perfect for gift giving , these will look great sitting on the table themselves or scatter them around your Halloween buffet for unsuspecting guests . ﻿﻿Pretty crafty stuff don't you think?! 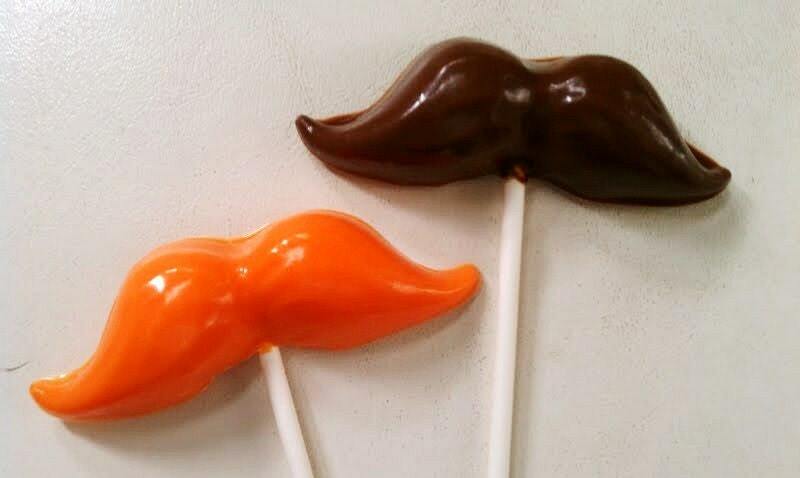 We hope you are inspired to start thinking about what Halloween treats you will be having at your party! Get your orders in early for all your handmade goodies! to see what other treats she has up her sleeve!